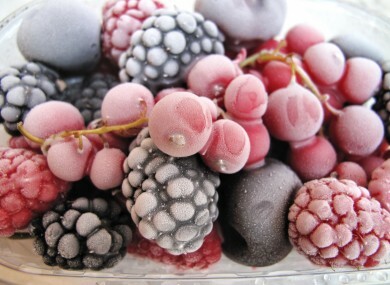 THE FOOD SAFETY Authority of Ireland (FSAI) are advising people to boil all imported frozen berries again. It’s the second time the FSAI have asked people to boil the fruit for at least one minute before eating as it continues its investigation into a food poisoning outbreak of hepatitis A virus. According to Prof Alan Reilly, chief executive of the FSAI, boiling imported frozen berries for at least one minute destroys the virus if it is present. The outbreak in Ireland – and the link to frozen imported berries – coincides with a similar outbreak in Italy. The FSAI continues to work in close collaboration with the Health Protection Surveillance Centre, the Health Service Executive and the National Virus Reference Laboratory focusing on tracking and tracing the foods that those infected with the virus say they have eaten and cross referencing this information with similar investigations in Italy. The FSAI added that it was unlikely that fresh Irish or fresh imported berries are a cause of the outbreak. It is a disease that can be relatively mild, lasting one to two weeks, or more severe lasting months. Symptoms increase with age. The most common symptoms are fever, loss of appetite, nausea, fatigue and abdominal pain, followed within a few days by jaundice. The incubation period (time from exposure to onset of illness) ranges from 15 to 50 days, the average being 28 days. Email “Boil all imported frozen berries, they could contain hepatitis A - FSAI”. Feedback on “Boil all imported frozen berries, they could contain hepatitis A - FSAI”.